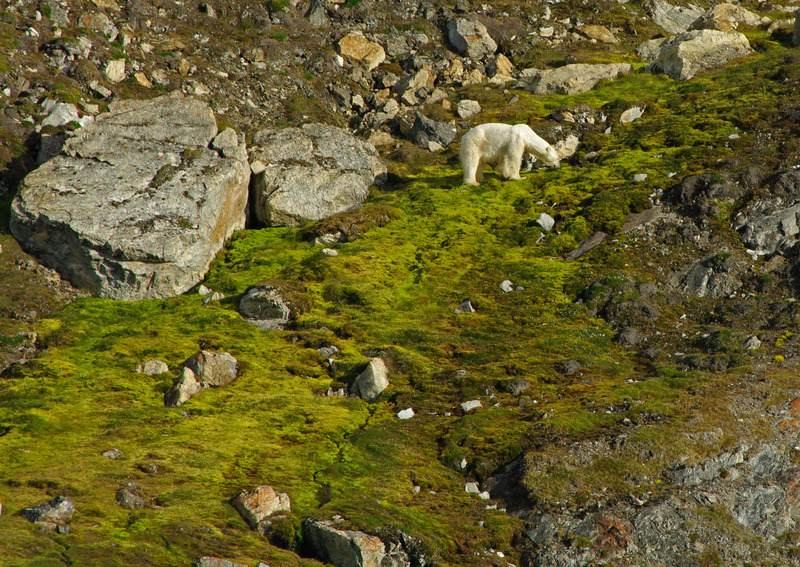 Bears are often hungry in the summer as there is no sea-ice to enable them to hunt their preferred food of seals. The lack of ice concentrates them on the land and if they are unlucky they can find themselves on an island with little or no food. While this one isn't especially thin, he is noticeably not at his peak, probably very hungry and therefore more dangerous. Hungry and desperate bears become more and more bold in their quest for food, many aggressive contacts with humans including human deaths are a result of starving bears trying to find food.